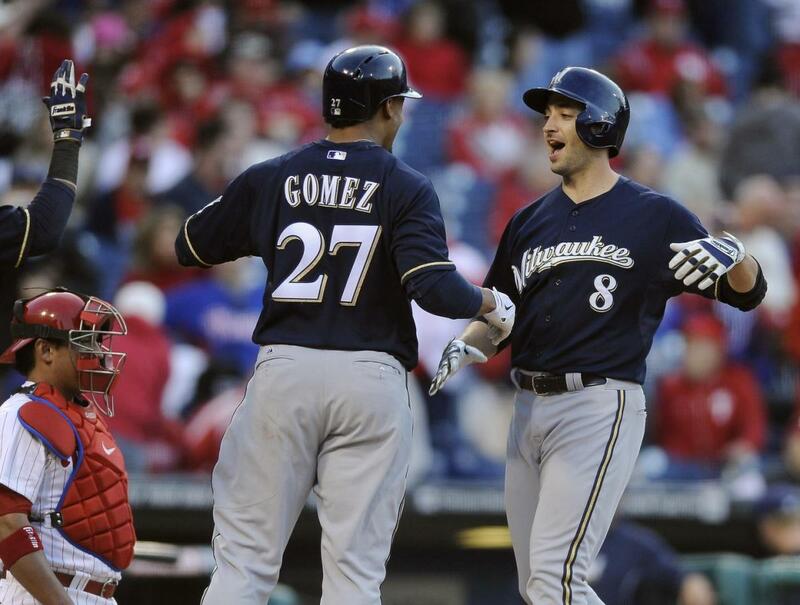 The Milwaukee Brewers have the best record in baseball. And with Carlos Gomez, Matt Garza, Ryan Braun and Francisco Rodriguez doing well, they have some of the hardest players to root for in the game. In a strange way, that could be their appeal! I explain why on today’s episode of The Sully Baseball Daily Podcast. Carlos Gomez, Jose Abreu, Yordano Ventura, Stephen Strasburg, Jason Kubel, Joey Votto and Josh Beckett all added to their totals for Who Owns Baseball. Posted on April 26, 2014, in 'SullyMetrics', MLB Podcast Network and tagged @sullybaseball on twitter, carlos gomez, francisco rodriguez, milwaukee brewers, Paul Francis Sullivan, ryan braun, Sully Baseball, Sully baseball daily podcast, sully baseball sound cloud. Bookmark the permalink. Leave a comment.